Open House Tomorrow in Mt. Pleasant SC! ← Strong Activity Remains in Charleston! 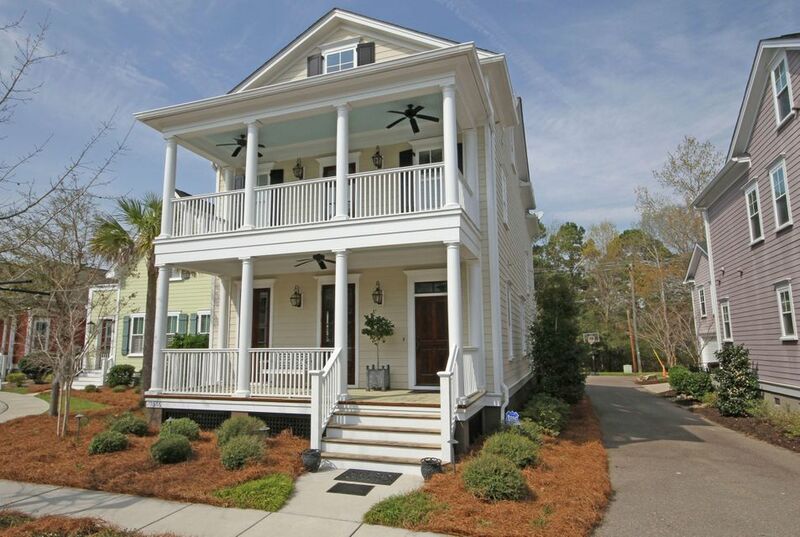 Absolutely stunning Lowcountry style home in the quaint village of Pinckney Place. Centrally located and convenient to beaches, shopping, restaurants, and downtown Charleston! Attention to detail is evident the moment you enter the spacious great room which opens to the kitchen and dining area. Beautiful red oak floors grace the living areas, and many upgrades were added. The kitchen features a huge granite island, stainless steel appliances, and under cabinet lighting. There is a bedroom and full bath on the first floor, currently used as a sitting/TV room (TV conveys). The master suite is on the second floor and has access to the full second floor porch. The third floor attic is ready to be finished and would add 670sf. One car garage also has a carport.